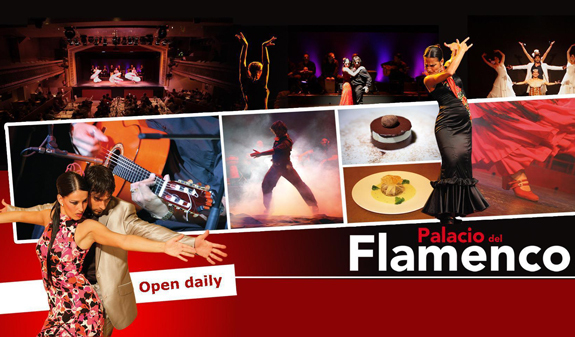 The Palacio del Flamenco is a former theatre in the centre of Barcelona with a social and artistic tradition dating back many years. Once known as the Fòrum Vergés, it reopened in December 2006 following a complete refit to dedicate itself solely to the word of flamenco. The venue seats 450 people who can enjoy dinner and enjoy the show in comfort. 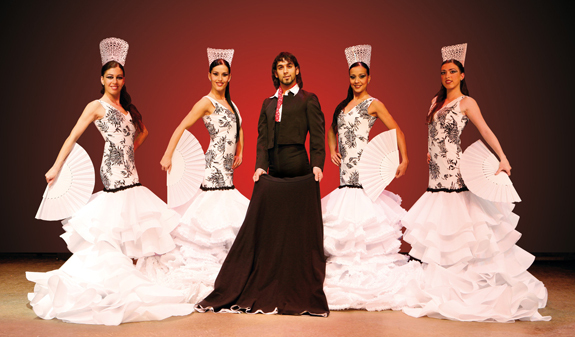 An experience that combines the essence of the art of flamenco with the renowned cuisine of Beltxenea Catering. If you come 30 minuts before your booking, you'll enjoy Flamenco Experience, which includes an audiovisual exhibition and flamenco lesson. The members of the audience can share in this art form and enjoy an evening of beautiful flamenco in an unforgettable setting. Show + Drink: show + glass of sangría (30cl) or soft drink. Show + Children's Drink (aged 12 and under) : show + soft drink. Special Offer Menu: show + paella + bowl of salad + chocolate profiterole + sangría or wine and water. Tapas Menu: show + Spanish omelette + squid with ginger sauce + fried prawns + salmon with lime sauce + chicken with potatoes + diced sirloin steak + profiteroles with chocolate + sangria or wine and water. Vegetarian menu: vegetarian salad + vegetable paella + fruit salad + sangria or wine + water. Children’s Menu (aged 12 and under): show + set menu of spaghetti, chicken and chips + soft drink. Times: from Monday to Sundays (Open on public holidays). 1st session: Dinner and show at 6pm and show and drink at 6.25pm. 2nd session: Dinner and show at 7.55pm and show and drink at 8.20pm. 3rd session: Dinner and show at 21.50pm and show and drink at 22.30pm. Meeting point: Balmes 139. Metro: L3/L5: Diagonal stop. Bus: 7, 16, 17,67 and 68. FGC L6/L7: Provença stop.